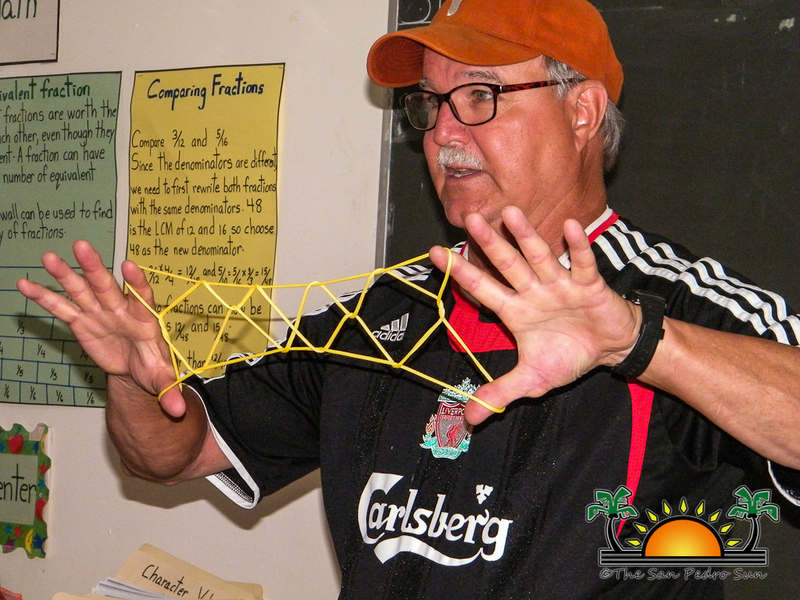 « Older: Eric Castellanos of C-Net+ enlightens SPRCS Students on HIV/AIDS. 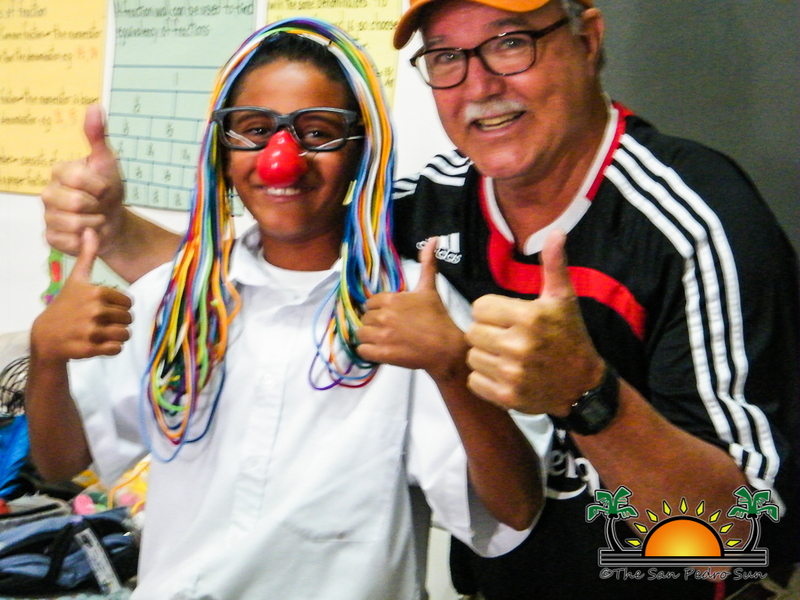 Mike Spiller of “Games of the World” and the Physician of Phun is once again in Ambergris Caye. 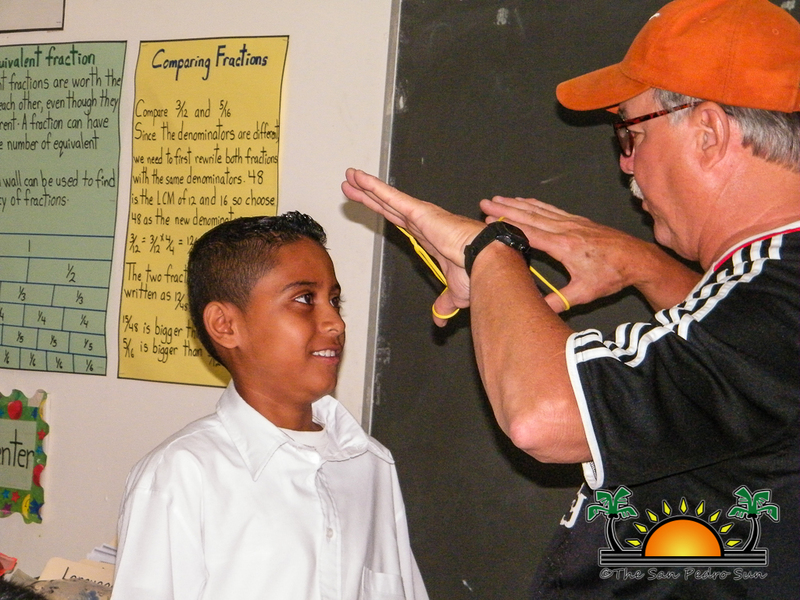 Spiller is a game enthusiast who travels through various countries seeking innovative and stimulating games from within the native cultures to implement in his summer camp programs in the United States of America (USA). 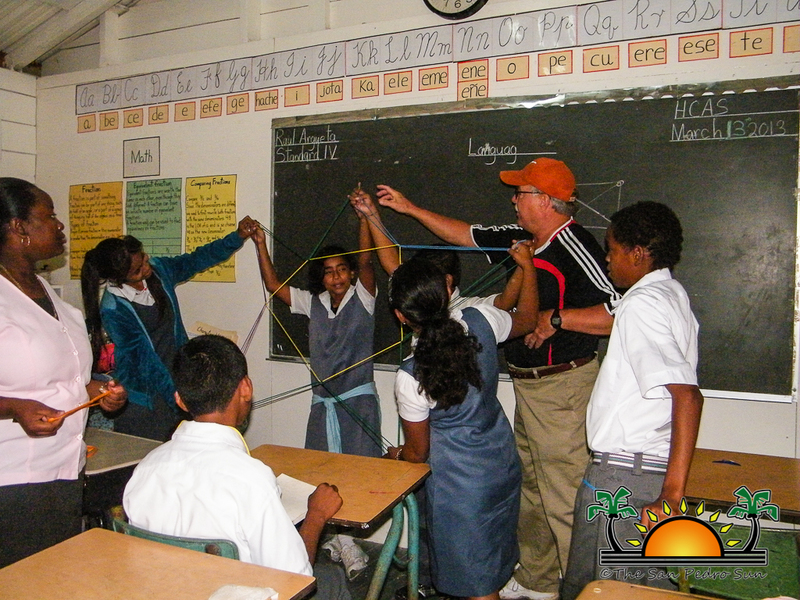 Games of the World originated in Hawaii in 1984 when Spiller encouraged his campers to share games from their native countries. 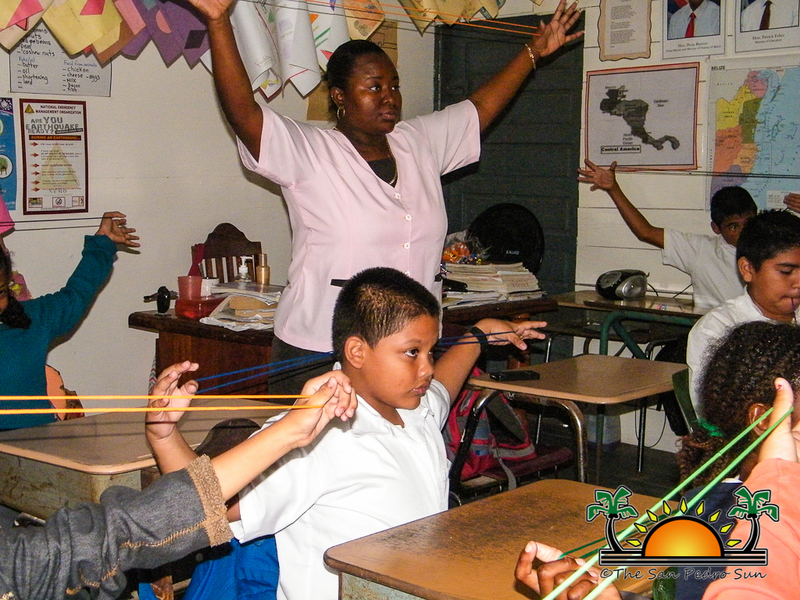 The campers that attended the summer camp were originally from the Philippines, Samoa and Hawaii. After this, Spiller’s interest in games from other countries grew and today he has traveled 42 countries in his quest for games. 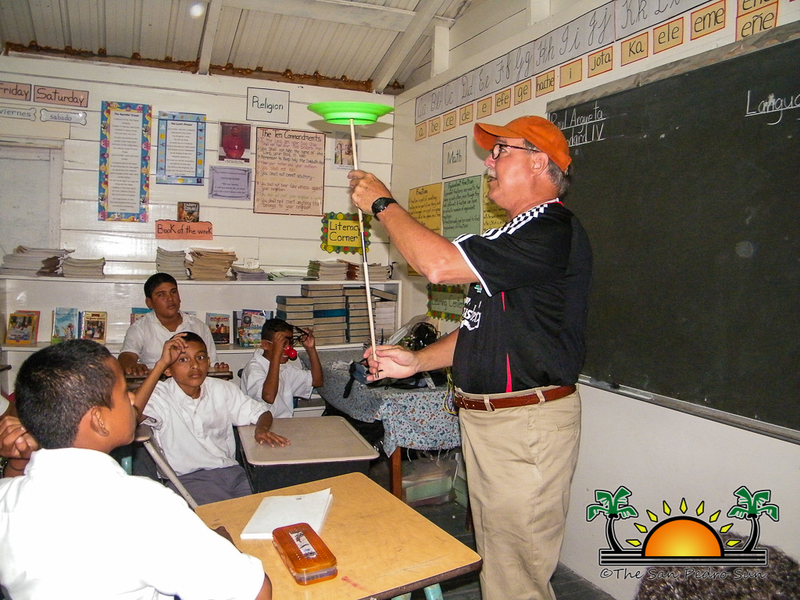 Spiller’s first visit to Belize was in 1993 where he met the students from the San Pedro Roman Catholic Primary School in San Pedro Town and presented ten books containing international games to the school. 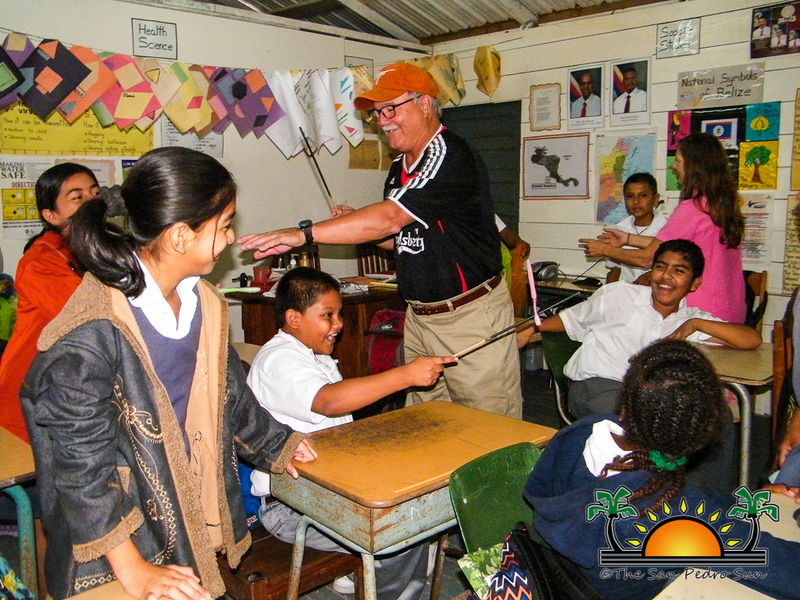 He made a follow up visit in 2003, where he brought more of his acquired games from across the globe to the students of San Pedro. 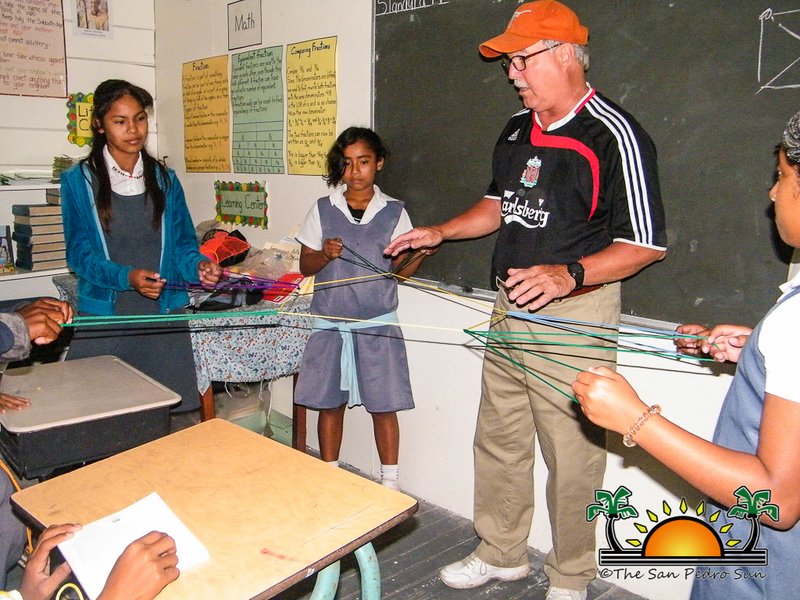 It has been ten years since Spiller’s last visit to the island, and he is back visiting the various islands’ primary schools. 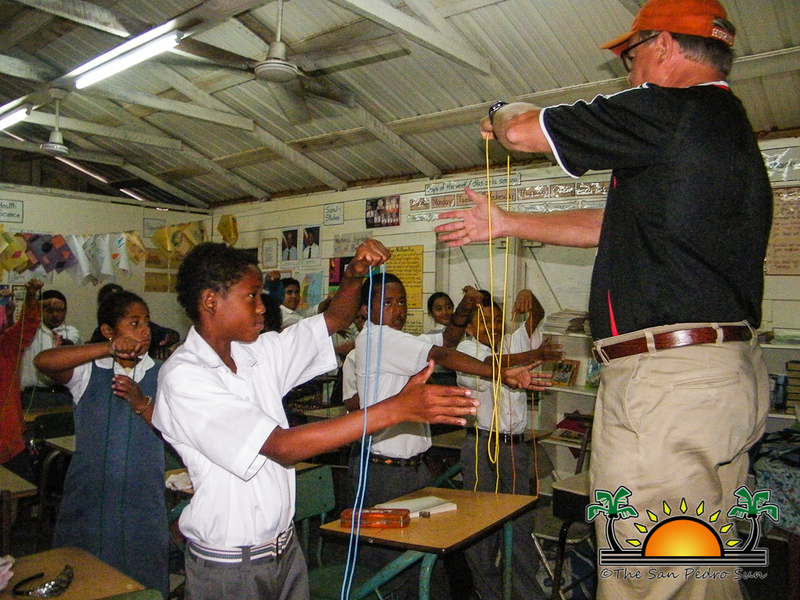 Scheduled to be on the island until March 20th, Spiller will be teaching the students various circus tricks while exchanging knowledge about games within the children’s communities. 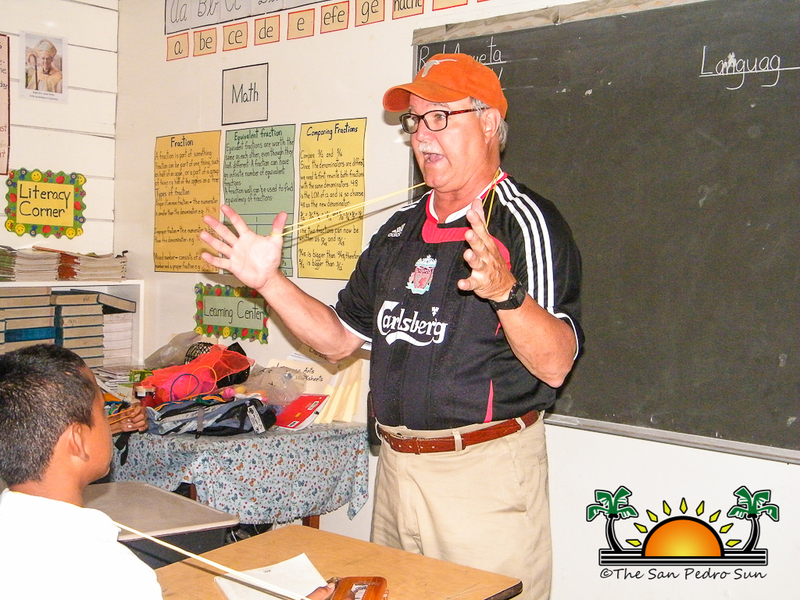 “Some of my best memories of my travels around the world (42 countries so far) have been right there in San Pedro Town before the bridge was there and I had to wade the river to come into some schools,” said Spiller in an interview with The San Pedro Sun. 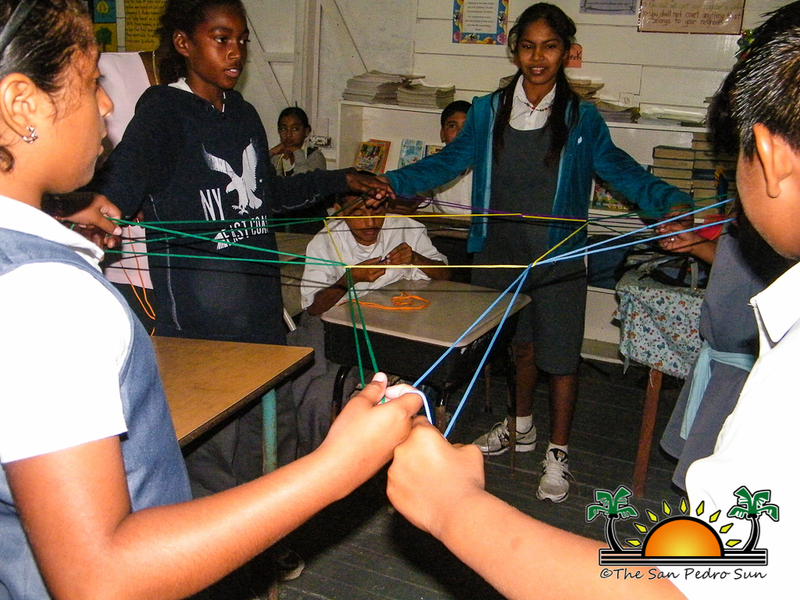 On Wednesday March 13th, Holy Cross Anglican Primary School hosted the Physician of Phun, and children happily enjoyed the games and fun experience. 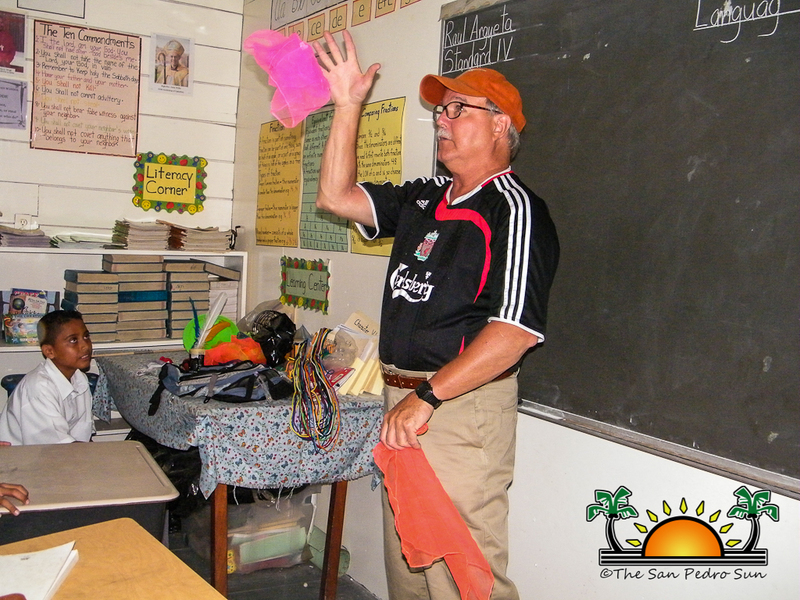 With his arsenal of fun games, Spiller taught the children basic circus trick. 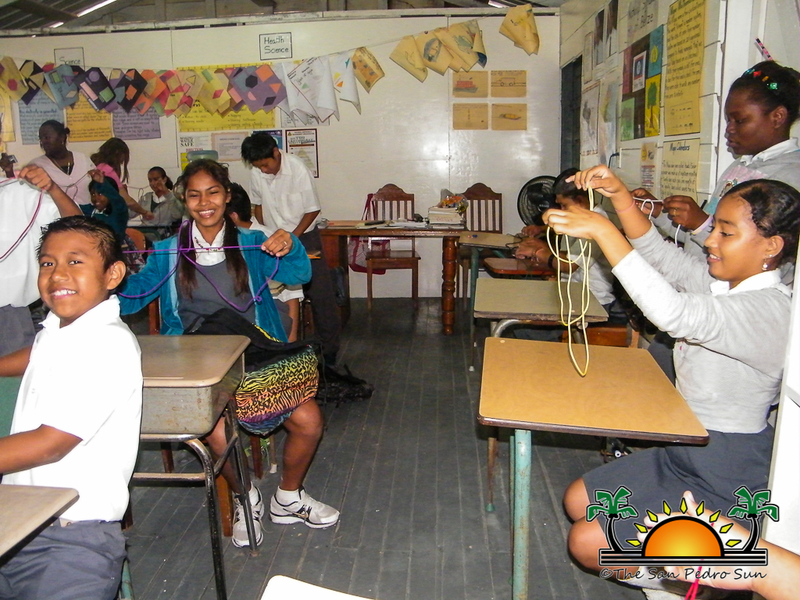 Among the items used for the games were basic household items such as a plastic plate, a length of yarn, a tooth brush and handkerchiefs. 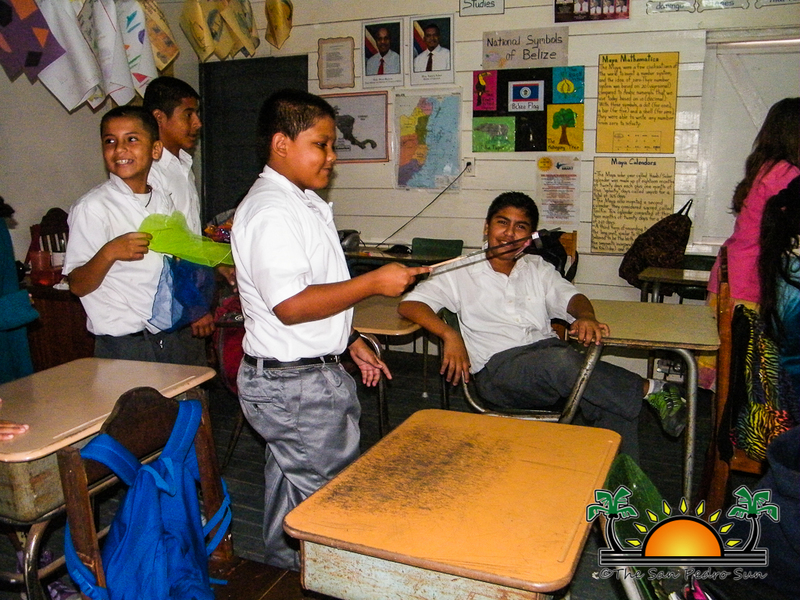 The students got to learn how to juggle three handkerchiefs using the box method (left-right-left-right). The youngsters also played with a Native American object called the Hacky Sack. 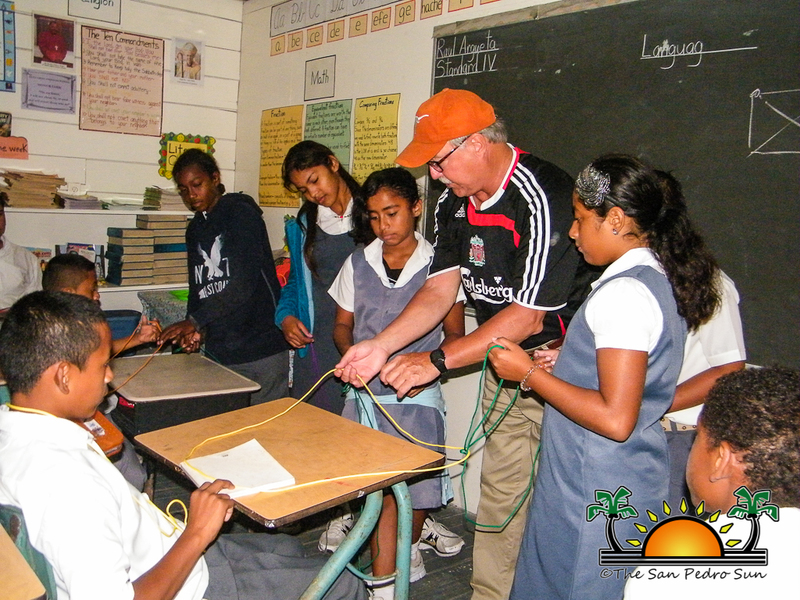 Utilizing a simple chain made out of yarn, Spiller maneuvered the string into amazing illusions that left the children in awe.The participants also got to work as a team making star and sun figures. 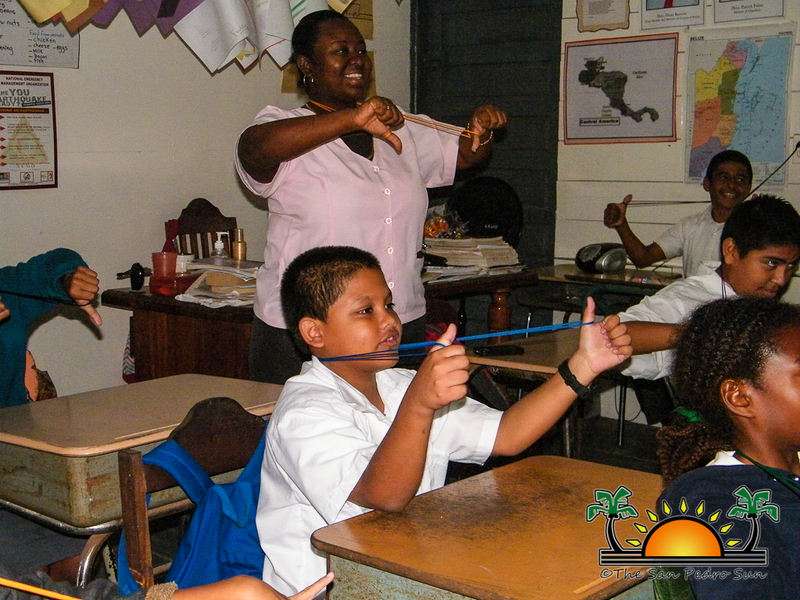 String figures varied from the African diamond to the jumping flea. 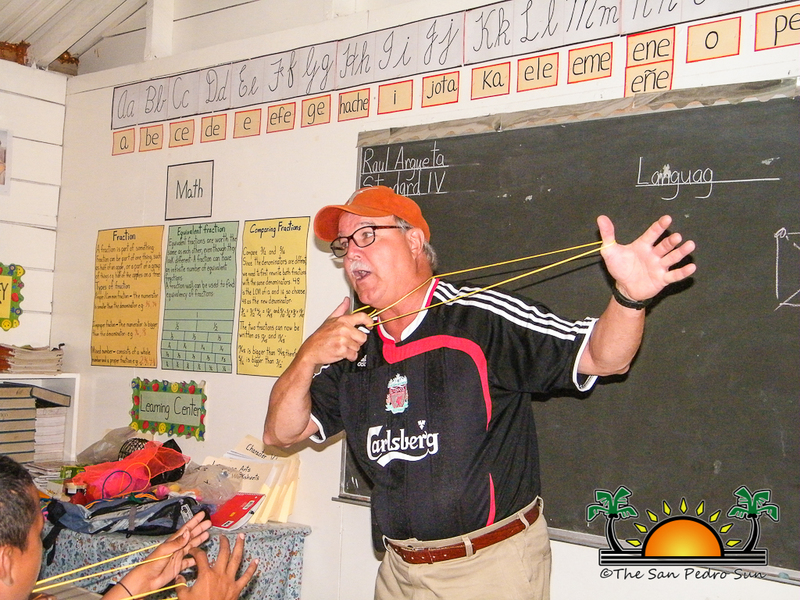 The entire class joined in mimicking the tricks shown by “The Physician of Phun”. 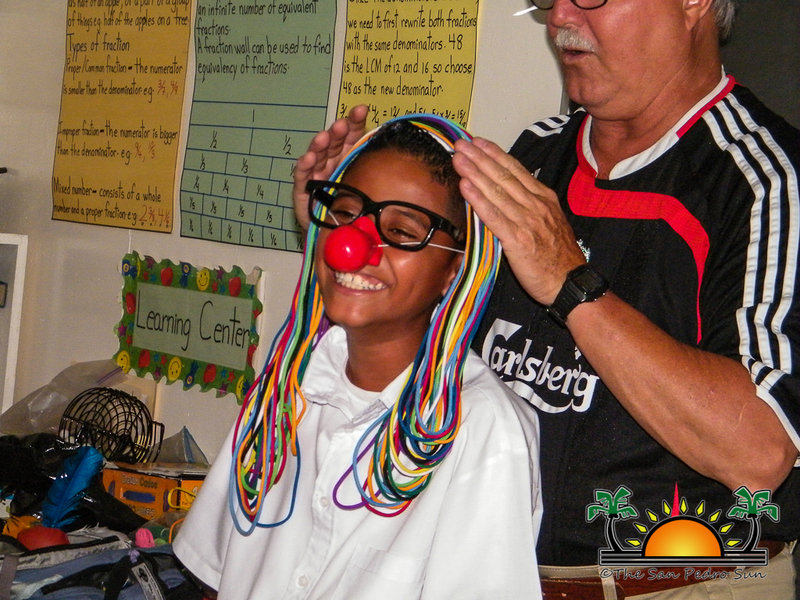 For Spiller it is the happiness that the games bring to the kids that is most pleasing. 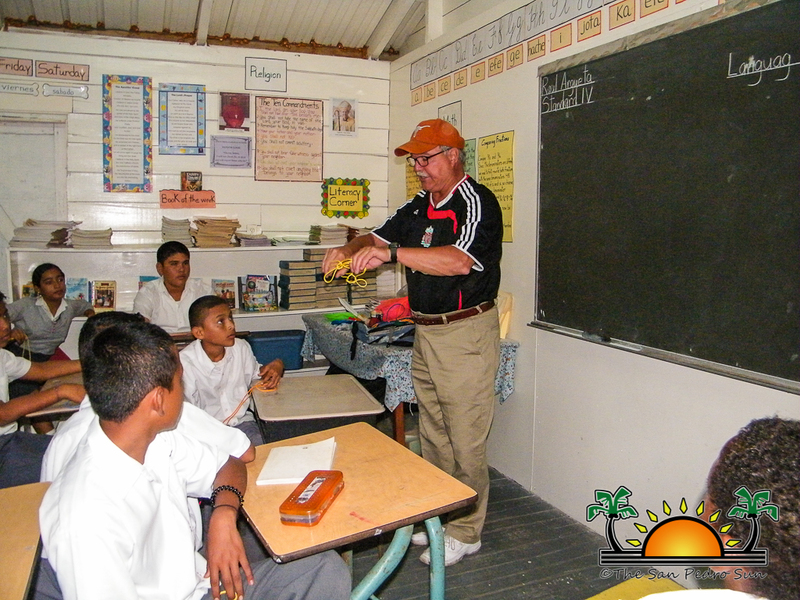 Spiller will be visiting other school on the island in the coming days; there is no cost for these visits. 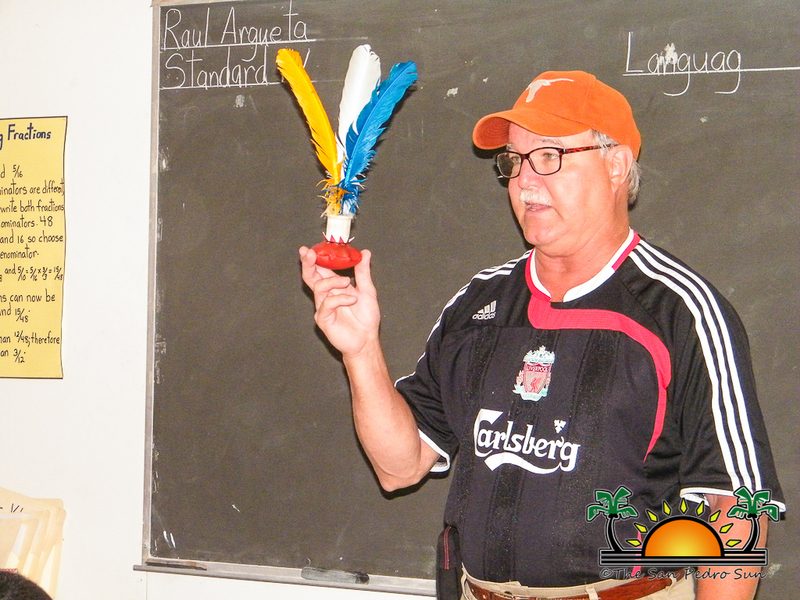 Anyone interested in learning more about the Games of the World and the games Spiller has encountered through his travels can visit his web page at www.msgow.com.